I used to bring my iPad into the kitchen to cook. In it contains Evernote app which I store all the recipes which I have collected, tried and tweaked. 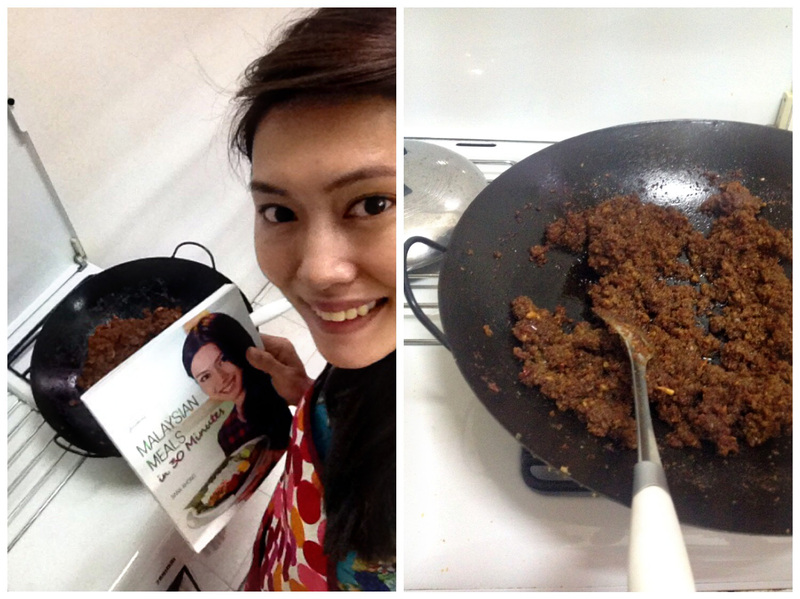 One of the weekends, I found myself reaching for my cookbook instead of the iPad! 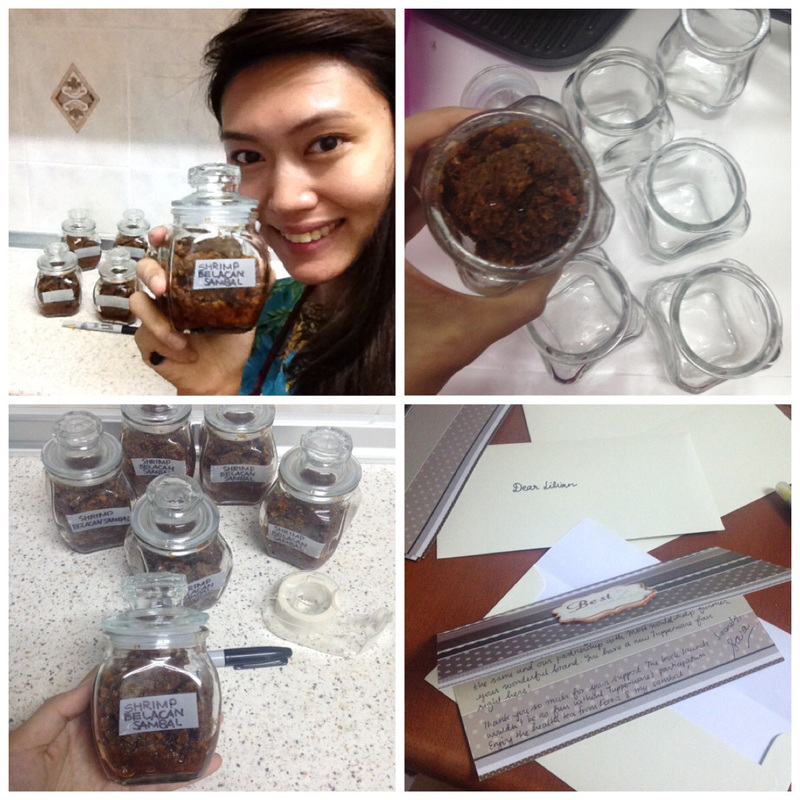 Oh, so I needed to make a big batch of my favourite condiment to keep in the fridge: dried shrimp and belacan sambal! The book launch marks the end of official work I need to do for the book. So it’s time to celebrate and give thanks to those who made it happened. So I made and pack sambal in cute bottles. I’ve included Korean ginseng tea and chicken essence to boost health of those who tireless help me. I also wrote a little thank you note. So into doing that (I love crafts!) I forgot to grab some photos. All in all, it was a happy weekend! Due to travelings and meetings, I’ve been spending less time in the kitchen. So being able to be creative in and out of kitchen was nice. p/s: If you ever try this recipe, make sure you get good quality dried shrimps. I normally get mine from a seafood shop in Kuantan. This time, my supply is low and I had to buy from TESCO instead. The quality was appalling compared to what I normally use and it does affect the taste. No wonder cooking schools always emphasis on fresh, quality ingredients!